The Victorian period saw huge changes in Dover as industry provded more jobs and the town prospered from trade with the continent and the British Empire. With lots of industry along the river including paper mills, corn mills and an oil mill, busy Dover Harbour and many soldiers garrisoned in Dover, the town grew very quickly. Between 1801 and 1901 the population increased by 600 percent. Near Charlton, Barton Farm was sold and the land developed for housing from 1895 as part of the Barton Estate built by Sir William Crundall, (one of Dover’s most famous mayors). Arguably the most infuential personality in Dover's Victorian expansion was William Crundall. His company Messrs. William Crundall and Co. had riverside premises on Wood Street, but had national and international interests. 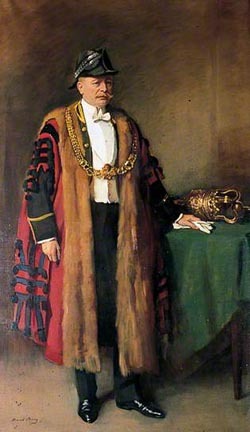 Crundall was a record twelve times mayor of Dover and was responsible for the modernisation of the harbour and the introduction of trams to the town. Historian Bavington Jones states that "In Dover, the laying out of the Clarendon Estate, now one of the most populous parts of the town, was commenced by this firm about thirty years ago. A few years later they laid out the Dover Castle Estate, and later they undertook the Barton Estate. In the earlier days of these undertakings Sir William Crundall, the present head of the firm, took active part with his father, and in later years he has been in sole control." Open channels which diverted extra water downstream from full millponds were put into a tunnels (culverted) as the town grew, and in places the river itself was covered. Roads and buildings were built over the top. Elsewhere the riverbank became part of gardens and was often formalised with hard edges such as the area between Dover Police station and the bowling club. Great fortunes were made and lost during this period of expansion. Civil engineer William Moxon moved to Dover, intending to make his fortune as a contractor for Dover’s drainage system (only recently needing replacement in some places) and fortifications on the Western Heights. He built Brook House (now demolished) in 1860, alongside the river. He was involved in schemes to widen Charlton Back – now Maison Dieu Road, and to build a new road bridge across the Dour – now Pencester Road. 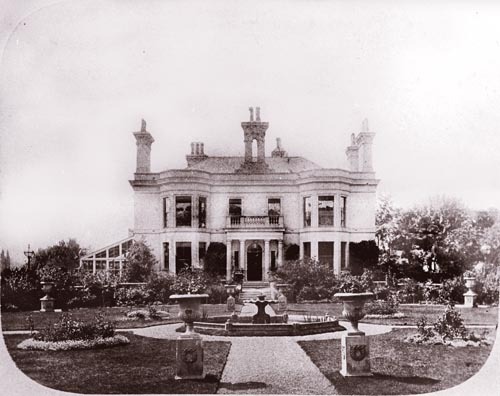 Moxton ran into financial difficulties before Pencester Road was completed and had to sell his fine mansion, but the grounds of his house helped to prevent development along a considerable length of riverbank. The survival of the riverbank as a public space in Pencester Gardens was more a matter of good fortune, as plans to build roads, a new railway station and a new town hall all fell through with the area becoming a timber yard for some time. Dover Corporation's purchase of the land in 1922 secured its future as a public park. Mechanisation of previously manual jobs increased in Victorian times and new factories were built in Dover. 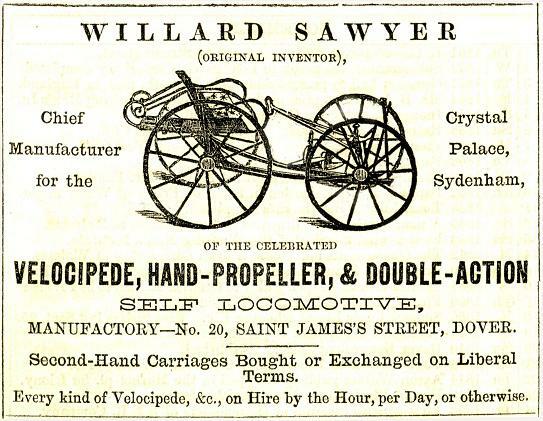 Sawyers produced velocpedes (a kind of four wheeled bicycle), and in 1835 an iron works was founded at Charlton Green by A.L Thomas and Sons Ltd on the site of the St Mary Poorhouse. In 1908 Walter Emden bought the company and renamed it Dover Engineering Works. The company became famous for the Elkington Gatic airtight waterproof manhole cover which was exported worldwide. 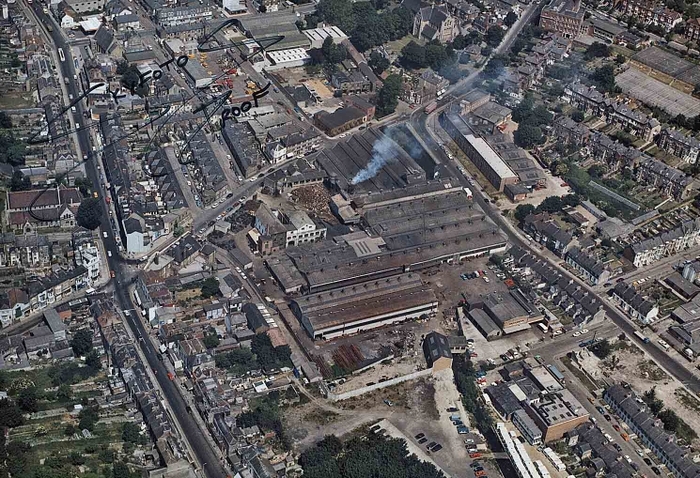 The Charlton Green site closed in 1988 after new owners moved the works to Scotland. Victorian technological advances saw great changes in milling and brewing, with the closure of some old sites and redevelopment of others to incorporate new efficient machinery and steam power. Town Gas, stored at Buckland, and electricity became avaiable to businesses and homes, revolutionising the hours that people could work and enjoy leisure activities. The increasing population, however, created a problem directly affecting the town's water - pollution. In earlier centuries the water of the Dour had been clean enough to drink, and water was also avaiable from springs throughout Dover's valleys that supplied numerous private wells. The increase in housing created cess pits which polluted the water. Bavington Jones, writing in 1907 records that"At that time, Dover's necessity became the opportunity for water speculators. Mr. Walker, at the Oil Mills in Limekiln Street, established the western water works, having reservoirs in the cliff caves. There were also eastern water works, established by the Gas Company, taking its supply from a well near Trevanion Street. The Round Tower, on the top of Priory Hill, which gave its name to Tower Hamlets, was also built for the purpose of water supply. As none of these sources fully met the public needs, Mr. Walker, about the year 1850, purchased from the Crown, the triangular piece of land on the side of Castle Hill, now occupied by the Dover Water Works, with the intention of forming a company to supply the town." Acting upon the 1850 Public Heath Act, Dover Corporation took measures to provide safe water supply and sewerage for the town. Realising that the private supply of water would be insufficient, the Corporation bought the land from Mr Walker and began work to create two wells at a depth of 220ft fed by tunnels that intercepted springs. The initial contractor failed to complete the work and was replaced by William Moxton. A pair of massive steam driven single cylinder beam engines were installed, capable of raising water from the wells at a rate of 55,000 gallons per hour to a reservoir further up the hill which could hold 500,000 gallons of water. A celebration dinner was held by the mayor in the gothic-arched roofed space before it was first used.